I went to a Salvation Army location, with a box of items that we no longer needed/used/loved. I pulled into the DONATION DROP OFF line and opened the trunk. A young man took the box—with washed and folded clothing, books that had been “outgrown”, household items that were unused, and a music box that no one wanted—into the “donation area”. I followed him and saw a mountain of “stuff” that was at least eight feet high! He said they get as many things that need to be recycled, or are just plain junk, than they do things that can actually be salvaged. As I walked back to my car, another man was shoveling piles of clothing into a dumpster and, as I drove away, I saw someone take our neatly packed box and simply dump it upside down into a giant bin. The ethical dilemma of the “haves and the have-nots” is an age-old problem, that won’t be solved it in our lifetimes. But, how can we live more responsibly, especially in this “season of giving”—which doesn’t typically mean giving the truly important things in life like kindness, appreciation, support or time (which we often choose to give to an electronic device rather than to another human)? How about if we assess what we can eliminate, to make room for what matters? So, what does the equation -=+ represent? 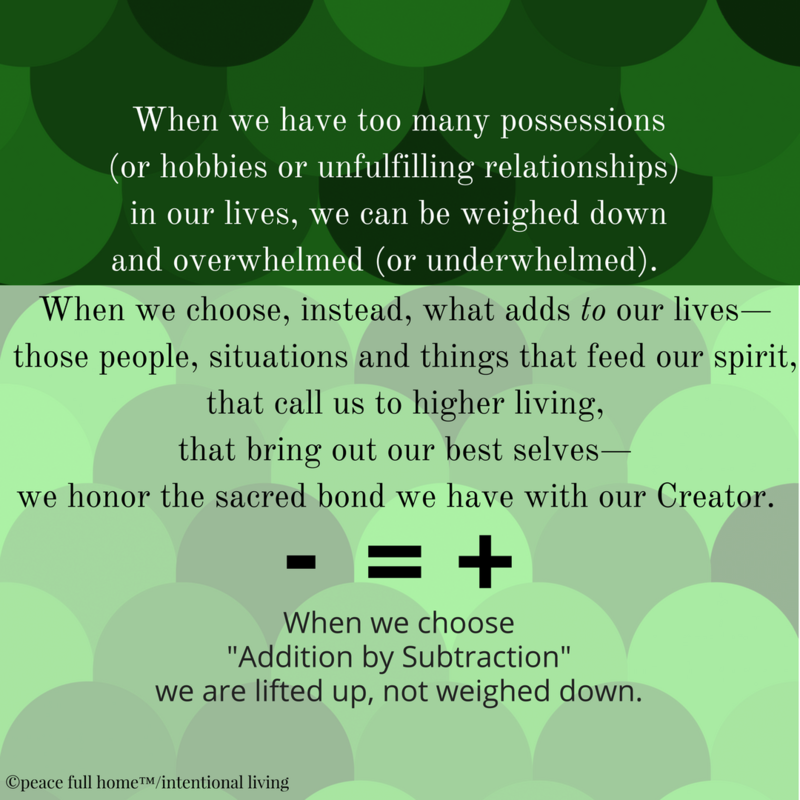 It means that when we take away we often gain more—we add to our lives by subtracting from our lives. There are so many things that are ripe for subtraction: the obvious excess of possessions most of us first-world country folks have, the incessant attention to media, the pursuit of bigger and “better” experiences, the constant yearning for “more” (that fills the gaping hole left by less-than-uplifting human relationships). I believe that a house is never finished—it’s an ongoing process that evolves. 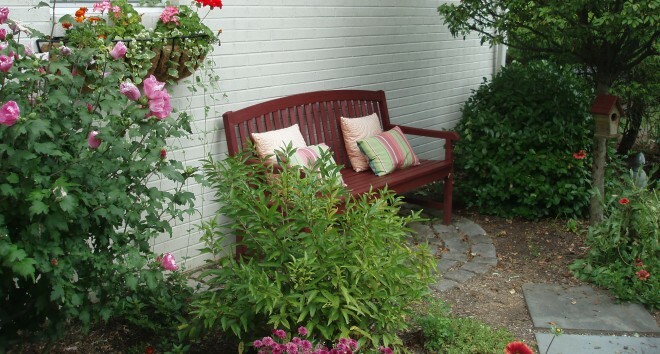 What I aim for is a home that feels complete: a peaceful, uplifting environment that joyfully says, “welcome”. If there are physical things in your home that you don’t like, remove them. If there are situations in your life that aren’t feeding your highest self, see how you can change them. If there are people in your life who are bringing you down, making you feel less-than, or damaging your spirit, try to detach from them. We take on people, things and situations that just don’t work out, and then think we have to live with them forever (of course, in some cases there are people we have to live with). We forget to remember that most of us have the ability to change, and that, like a home, it’s an ongoing process. What (if anything) has you asking, “What am I doing?” What’s adding to your weariness? What are you able to change? What are you willing to subtract to add? This entry was posted in Peace Full Home and tagged holidays, John Ruskin, possessions, shopping, stuff. Bookmark the permalink. Thank you very much, Mimi!